It often happens that in the kitchen near the refrigeratorthere remains a little space where it is impossible to put a cabinet, shelf or something else. As a rule, this place remains unoccupied and this is with a deficit of free space. Designers are outraged, and they came up with an interesting way to use an extra piece of cuisine. 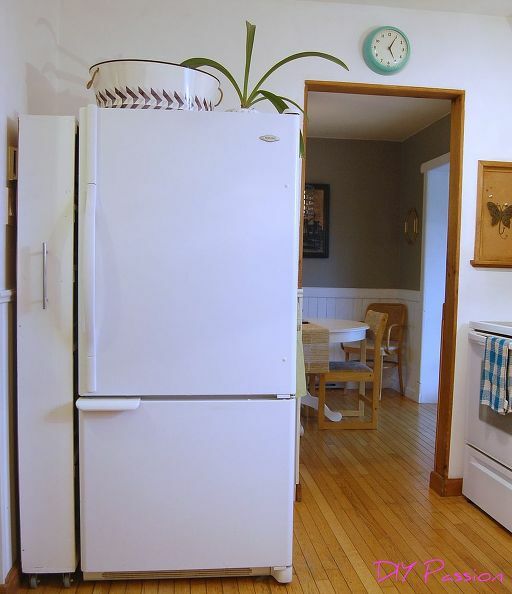 They propose to move the refrigerator away from the wall and put a narrow open locker on the wheels there. 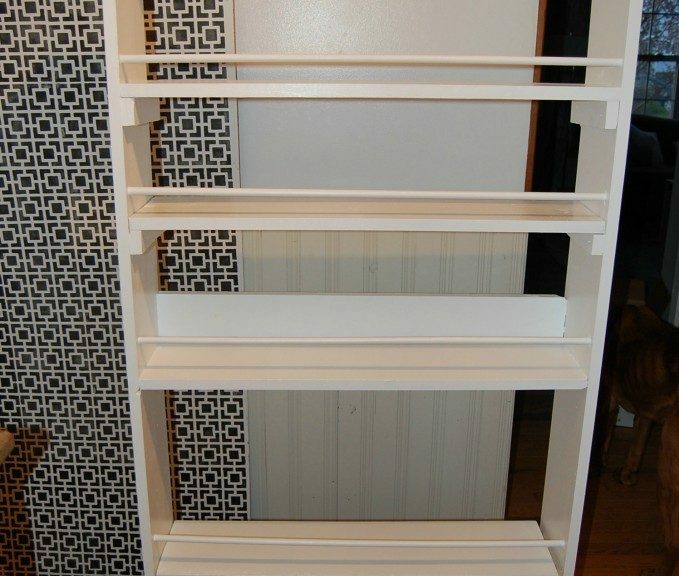 To ensure that when storing the cabinet, the items stored on the shelves do not fall out, special restraints are provided. 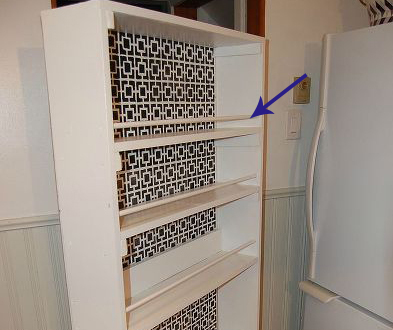 In a retracted state, the cabinet does not interfere with the use of the refrigerator and does not damage the interior of the kitchen. 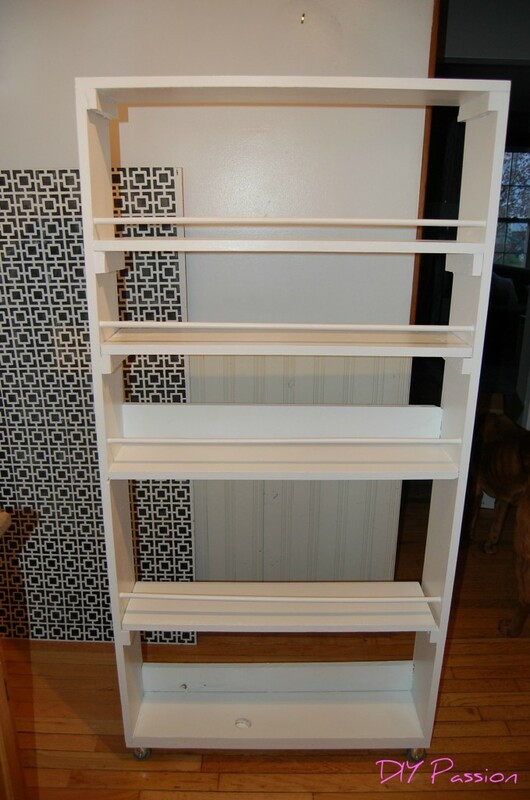 A locker is made, like any other furniture - first a frame and shelves, then a back wall and wheels. 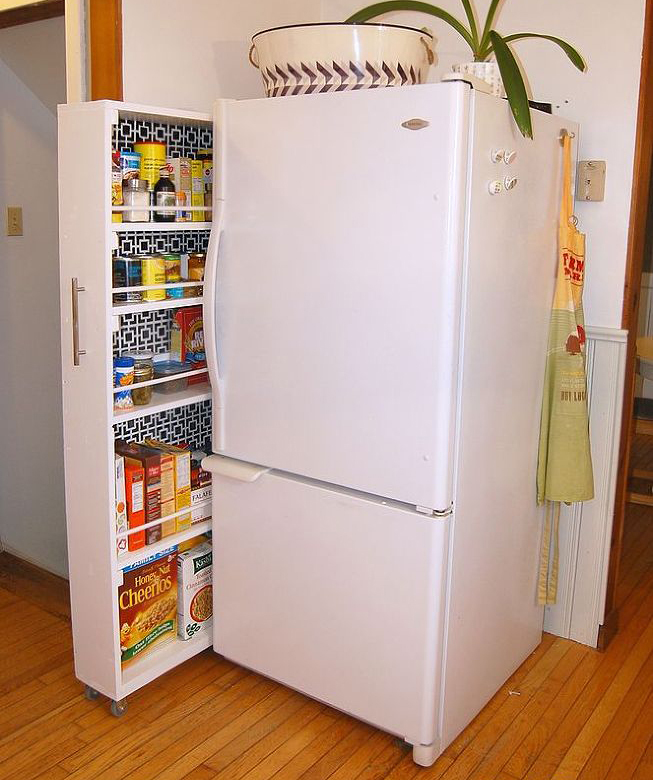 The sizes are individual, since all the refrigerators have different widths and heights. In general, nothing special, so make this self-made by everyone.